I shared my Spring Bucket list with you a few months ago here and here. Now it’s time to share my summer list! I know today is the official first day of summer but in Florida we’ve already had a month of summer weather. So I’ve gotten a bit of a head start on my list. This sight always thrills me! I switch to “island time” when we pass this! St. Louis MO – This is for *my* work. My friends Michael Ann, Lisa, Johna and I plan to visit the Novel Neighbor, an independent bookstore I learned about from Anne Bogel of Modern Mrs. Darcy. The Breakers in Palm Beach – Again a work trip for hubby. It’s a Henry Flagler hotel that is just beautiful. The Mountains (maybe? still in the works) – Floridians like to escape the heat in the middle of summer so while all the North Carolinians escape to the coast in July, the mountains fill up with Florida license plates. Solar Eclipse trip – Did you know that on August 21st there’s going to be a total solar eclipse in the US? There hasn’t been one since 1979! We’re going to catch it. The closest place to us is South Carolina . If *you* want to try to see it, here’s a link for the path to see where you’d have to go. Staying in the shade a lot more these days! Don’t I look so Audrey Hepburn with my head scarf? That’s what I keep telling myself. Probably more like a Russian babushka but hey, it keeps my hair out of my face when we drive in the Jeep! 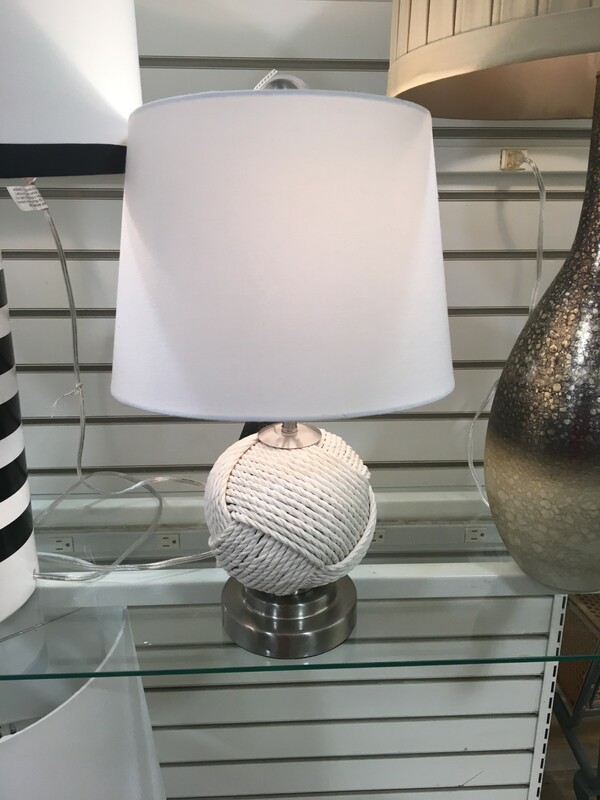 This lamp (and its sister) may have come home with me on a recent Home Goods trip. Summer isn’t relaxing if it doesn’t include some reading time. I blogged about what’s on my summer TBR here. Am I the only one who loves lighthouses? I have a big birthday this year, so in preparation I’ve been following several different eating plans including Whole 30 and Trim Healthy Mama so that I can be at my best for my next semiquincentennial. My latest one is by Danette May. She has a 30 day challenge where she gives you the workouts and the eating plans for 30 days. Sometimes I just don’t want to think and it’s nice to have something to follow. It’s real food that is quick and easy to prepare and surprisingly tasty! (Why is health food always so bland?) It’s been really working for me. If you are interested in finding out more, click my referral link here. That’s about it for now. What is on YOUR summer bucket list? If you’re a blogger join in the link up or just comment below! A great list. 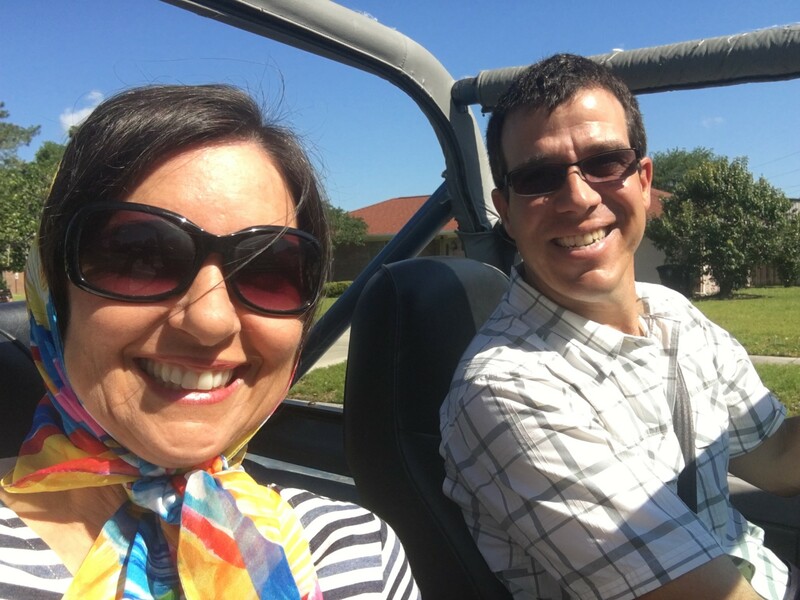 I imagine that living in Florida could be a little like summer most of the year…& that headscarf looks fabulous! Enjoy your summer with best wishes from Australia. Well I live in NE Florida so it does get cold in the winter. No snow but we do get frosts. Thanks for stopping by! Have a great winter! That’s what I love about blogging – the things you learn & the people you meet. Sounds like you’ll be busy this summer, Sheila. I look forward to the updates. Happy summer! I love your ideas, Sheila!! If you ever want to get away to bigger mountains, Denver is the place to go….and I can show you some great sights!!! Hubby used to travel to Denver for work eons ago. Now I go every year in January but it’s for work so I don’t make it to the mts. Maybe next year we can meet up! Travel, beach, lighthouses…I love them all. Count me in 🙂 Look forward to the updates. Glad to have found a kindred spirit! 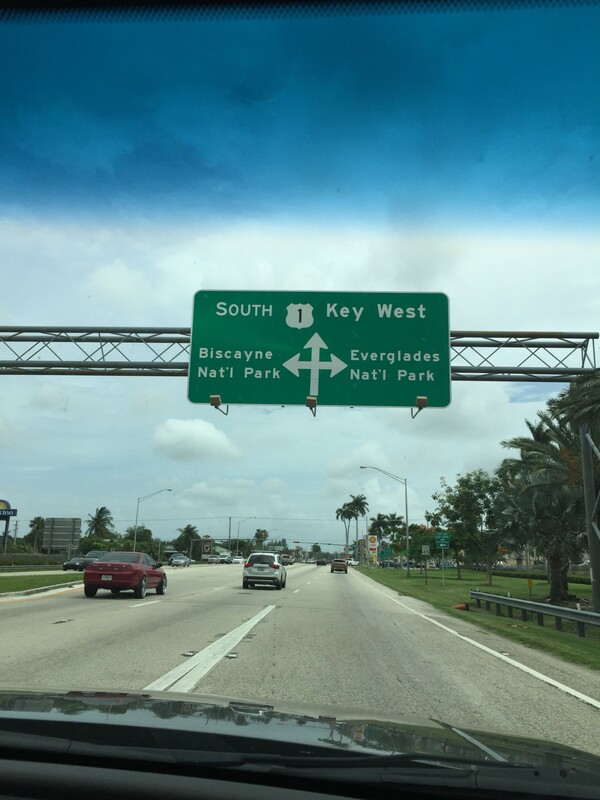 I recognize that US1 road sign! 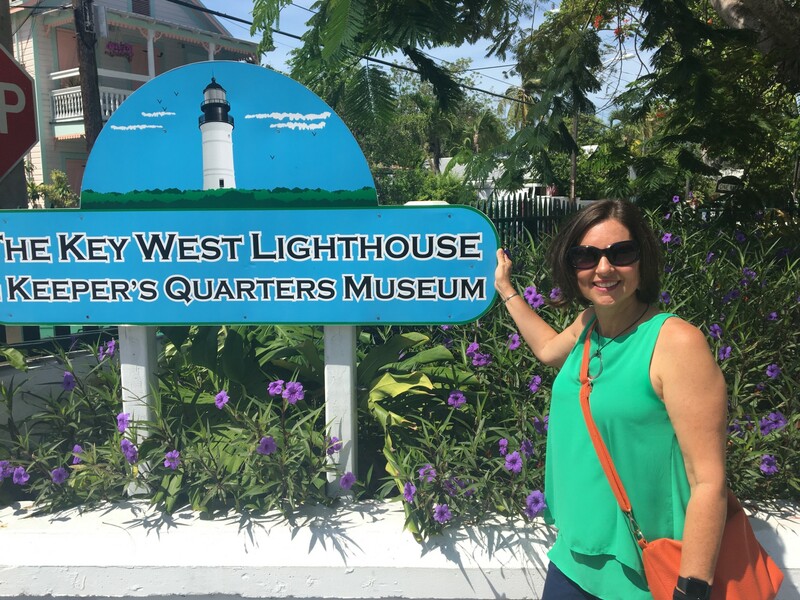 I drove to Key West and back in a day because I was too miserly to shell out the $$$ to stay in the keys. This was part of my 2014 solo drive circumnavigating of the contiguous US. What an experience! I’d always wanted to drive the causeway through the keys, and I was not disappointed. Looking forward to your report on Key West! What a fun trip that must have been!! Did you blog about it? I love the drive down the Keys. So picturesque!! Hey — if you’re coming to St. Louis I would love to meet you guys!! That would be fun! We’ll be flying in on Wednesday July 12 and heading to the Novel Neighbor. We work Thurs-Sat and fly out Sunday. Will you be in town then? I like the way you divided your list up, Sheila! Very organized! I love that our lists overlap a bit! I didn’t put “getting healthy” on mind, but that’s one thing I’m working on. Looking forward to seeing you soon! Yes, I like that we have things in common and that we get to see each other again! Hi Sheila I love your summer bucket list! Of course what is summer without the beach but I’m also interested in the lighthouses. We have quite a few in Australia and it is really like a bygone era now as it is all computerised. I’m into health and fitness so I’m sure you will do well in your 30 day challenge. Enjoy our summer! Yes the lighthouses are all automated here as well but many are open to the public and I just love climbing them! Thanks for visiting Sue! Your blog has never looked lovelier. So glad you joined us and are blogging a bit more these days. I need to follow your lead and get a great Audrey scarf for our convertible rides in the Mustang. You look very pretty. Yay for stateside travels and lighthouse tours. I will be glad to be at home and to get back on track with exercising and eating. Have eaten far, far too much. Will be interested to follow your progress on the 30 day challenge. Beautiful new lamp that followed you home. Wish I could get one to follow me home for my beach guest room. Thank you for adding your great list to our link-up. So blessed by your friendship. I’m traveling now and although it requires a LOT of self control and some creative menu massage, I am sticking to my eating plan! I’m looking forward to getting back to work on my house now that I’m done moving my parents! I love that Floridians take off to the mountains in the summer! Heck yeah! We need a break from all the sun, heat, and flatness! You have so many fun things planned. 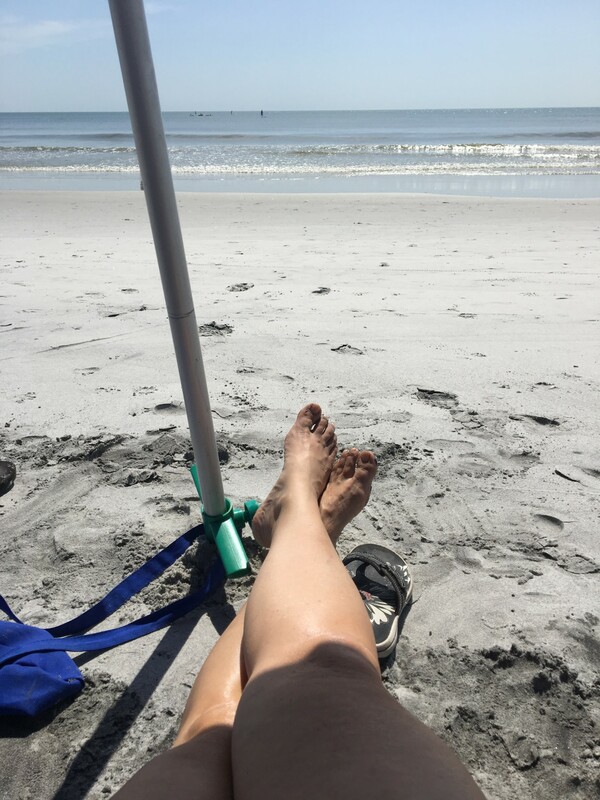 I love the beach and mountains – but I don’t think either will be on my summer list, but home remodel is – my husband is tackling a bathroom remodel – starting today! Wow! *He’s* doing it? We’ve done both bathrooms. But paid for a friend to do it. *We* didn’t do it. My husband is handy but not THAT handy. Plus the time…Will you blog about it? IG it? If no then maybe share on slack! I LOVE lighthouses! I have a mini corner curio cabinet and I keep a little figurine from every lighthouse I’ve ever been in! It’s so fun! I haven’t been in one in awhile, tho. How fun you are coming to St. Louis! I’ve lived here my entire life and I’ve never heard of Novel Neighbor!! I’ll have to check it out. I also would love to see the Florida Keys! I always seem to go to Orlando, Daytona Beach, the gulf or Miami when in FL! I didn’t know you lived in St. Louis! It’s an indie bookstore! Do you like to read? Yeah those are popular FL destinations…although I don’t care for Daytona. So much fun stuff going on this summer! I think we’re going to head down to Oregon for the eclipse. Oh cool! I really hope it won’t be cloudy! I’m reading He Said She Said which is about eclipse chasers so I’m learning a bit about them! That is a grand list! Your travel plans sound so exciting! I hope you share your adventures…I will love to read about them. I have never been to the Keys but I hear it is lovely there. So many families we know descend upon Key West for winter/spring break that they all call it Buffalo south. Your decorator’s visit really struck a chord with me. I did that about a year or so ago and it was very eye-opening. I was grateful for the trained I perspective. Thank you for sharing… Looking forward to seeing your finished living room! Did you make any changes as a result of your decorator’s advice?